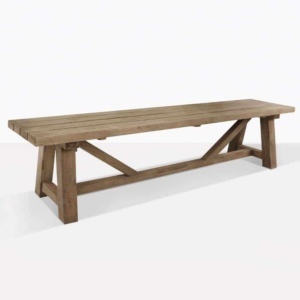 The Rustic reclaimed teak bench is a perfect compliment to the Rustic Table. It provides a little bit of a country feel for any setting. Pair it with our concrete table for an earthy and modern look. 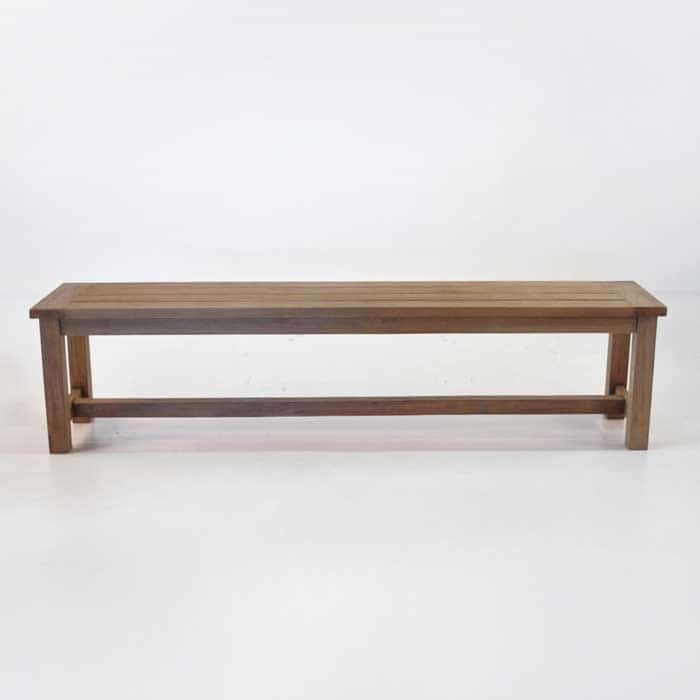 The simple and utilitarian design highlights some truly spectacular pieces of reclaimed teak without losing the modesty one associates often enough with reclaimed pieces. 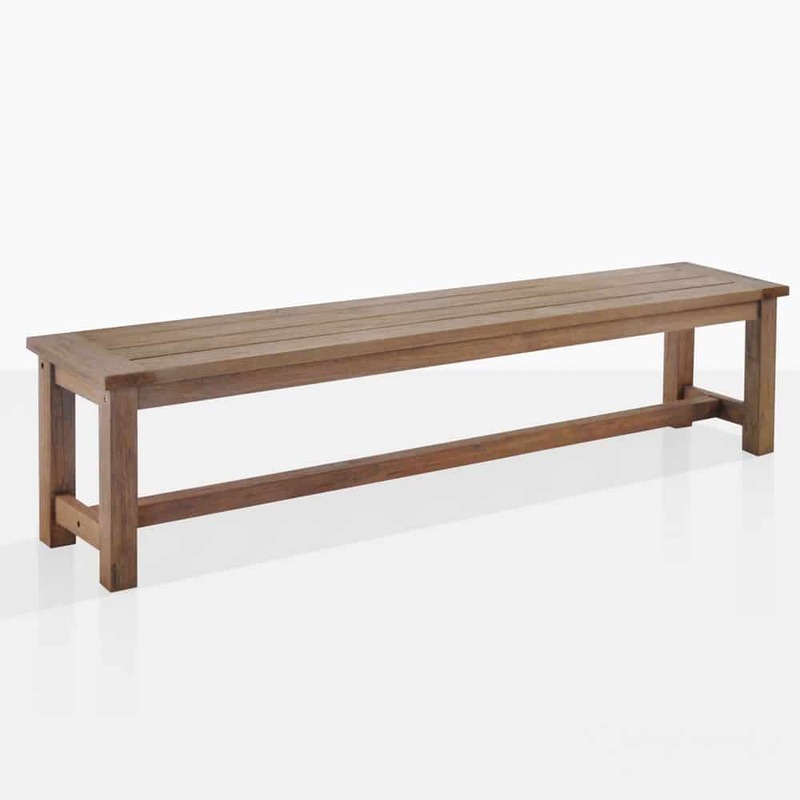 The feel of this rustic bench is soft and inviting but strong and self aware. 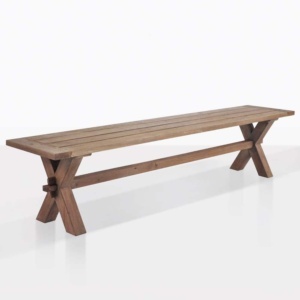 This bench is a perfect compliment to a wide range of other pieces.